Small 4 Style: DFW Style Daily's Best Dressed 2013... I'm So There! 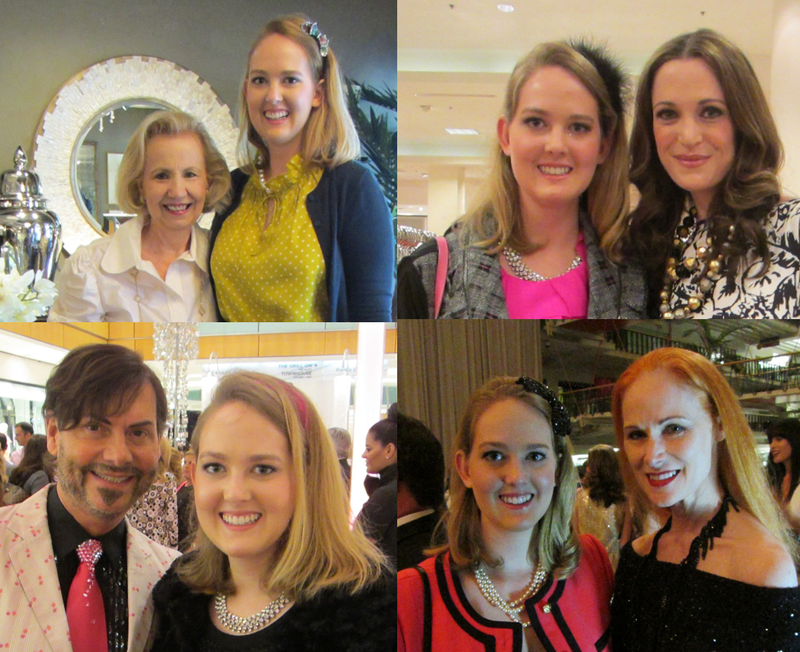 DFW Style Daily's Best Dressed 2013... I'm So There! Philanthropist-extraordinaire Yvonne Crum. DFW Style Daily's editor-in-chief Lisa Petty. America's Sassiest Lifestyle Guru Steve Kemble. The legendary runway show producer Jan Strimple. Need I say more? These are just a few of the fashionable folks you'll bump into at this Thursday's DFW Style Daily's Best Dress 2013 event. The money raised from the event will benefit Suicide and Crisis Center of North Texas as well as Dallas Can Academies. Pop-up runway shows by Jan Strimple will keep you up to date on this season's trends. The Best Dressed of 2013 will be revealed. Tons of stylistas will be there to mingle with. It's all happening on the ice rink at the Galleria Dallas. It sounds like this is going to be the event of the season. 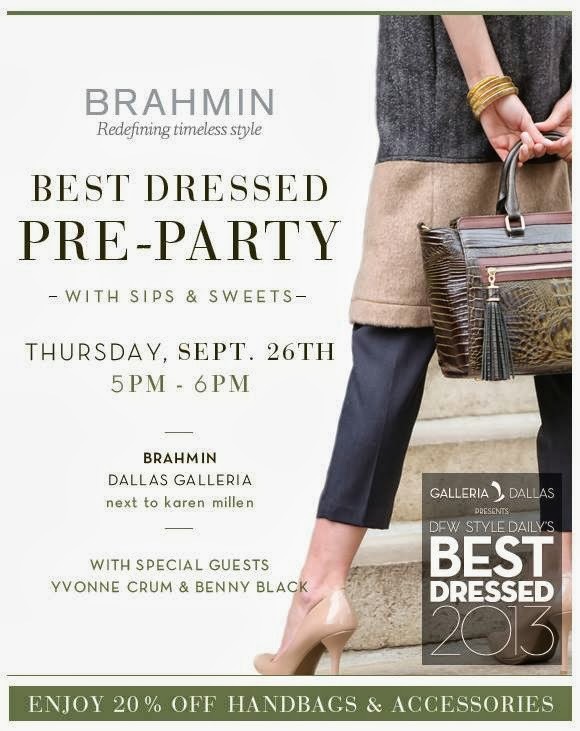 Get your tickets online and see you Thursday September 26, 6:00 at the Galleria Dallas! PS: There's an exclusive pre-party at Brahmin Galleria Dallas at 5:00 Thursday night!